Thanks to remarkable scientific advances, we know that tumors shed a variety of signals into the blood, leaving behind small hints to help identify cancer type, location, and disease-stage. For this reason, researchers are especially interested in developing new ways to use this knowledge to transform how we detect and diagnose cancer, making it possible for a future wherein simple blood draws could help physicians and patients more accurately and successfully manage disease. The technology — commonly described as liquid biopsies —could offer a less invasive and easily replicable alternative to standard biopsies, experienced by the patient as a simple blood test as compared to, for example, an often painful bone marrow biopsy. In the past decade, there has been some momentum around enhancing the science and clinical utility of liquid biopsies where tumors shed breadcrumbs into blood, urine and saliva. With the launch of the Cancer Moonshot we’ve seen an amplified commitment in this area. In response to the Vice President’s call to collaborative action in support of the Cancer Moonshot, a team of deeply committed individuals from for-profit companies, professional societies, and universities have come together to accelerate the timeline to achieving their shared vision of developing safe and effective liquid biopsies. They will start by focusing on blood profiling diagnostic technologies, to dramatically improve the lives of cancer patients and their families. On September 10, 2016, in Los Angeles, CA, the Blood Profiling Atlas came to life. An initial group of 14 representatives from government, academia, foundations, pharmaceutical and diagnostic companies joined together to form the “Blood Profiling Atlas” group to jump start the creation of an open blood profiling database, which will make raw, unprocessed datasets free and publicly available. 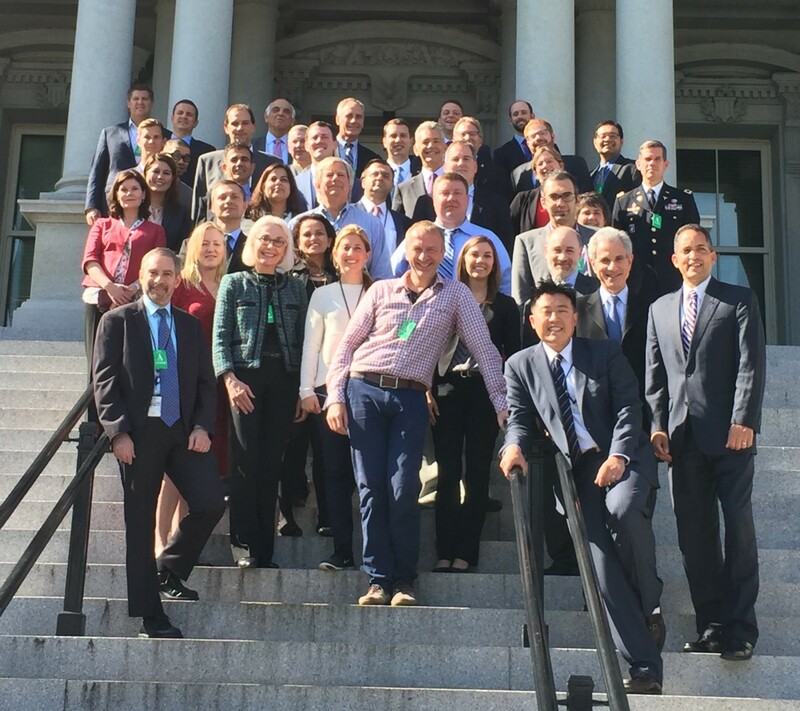 The Vice President’s Cancer Moonshot team met in late summer 2016 with the FDA to discuss liquid biopsies, and determine the value of a collaborative group approach to developing the science of blood profiling. The goal was to understand if there was a benefit to demonstrating the level of evidence required to identify performance characteristics of blood profiling assays for cancer treatment, and to developing standard protocols for sample collection, processing, and analysis. In strong alignment with the Cancer Moonshot, the Blood Profiling Atlas recognizes that a collaborative, well-integrated approach is essential to accelerating positive developments in patient care — detecting tumors faster, diagnosing disease earlier, and tracking disease progression and treatment response more efficiently. The Atlas anticipates that it will also be integral in making sure that the regulatory pathway for supporting these advances is robust. On October 17, the release of the Cancer Moonshot Fact Sheet officially announced the Blood Profiling Atlas and the following day a group of 45 individuals representing 20 stakeholders convened by the Vice President’s Cancer Moonshot launched the official pilot to aggregate and harmonize raw datasets for further analysis. The pilot project is designed to improve care for patients by creating a new model for how work being done at companies, universities and government agencies can be brought together to accelerate the development and potential approval of highly reliable blood tests for individualized cancer treatment and monitoring. As we look ahead for the Cancer Moonshot, through the end of the Administration and beyond, we see a future filled with researchers, clinicians, patients, non-profits and government agencies coming together to more efficiently and effectively utilize resources and resolutely improve patient care. Lauren Leiman is the Senior Director for External Partnerships of the Vice President’s Cancer Moonshot Task Force. Lauren returns to the White House after serving as a member of the advance team for President Bill Clinton and Vice President Al Gore between 1998 and 2000. The official Medium account of the Vice President’s Cancer Moonshot. Notes may be archived: http://wh.gov/privacy.